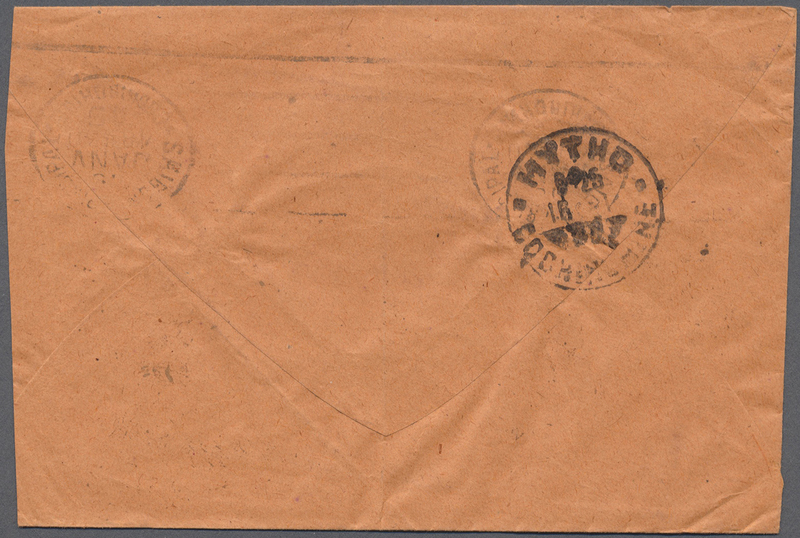 7490 Brief (cover) Scott # 236, 244 1946 (Dec 3). 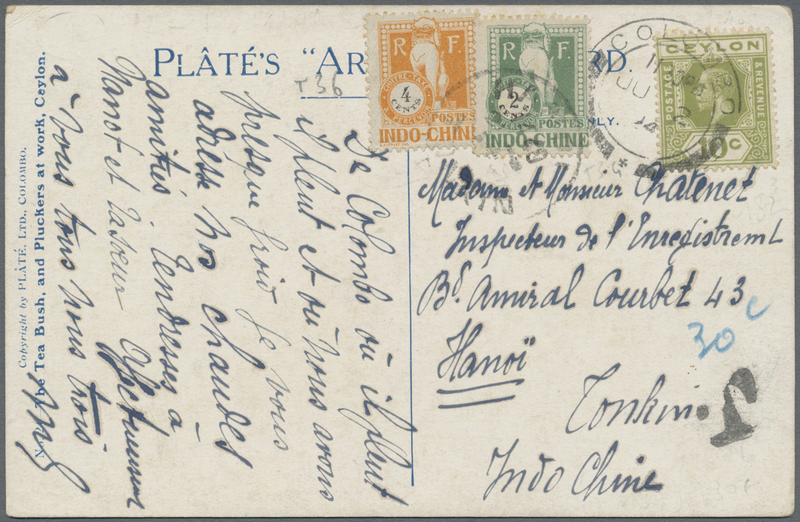 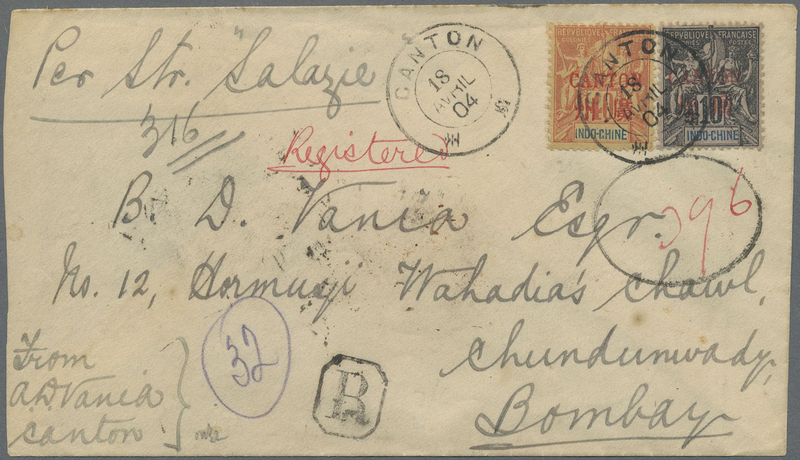 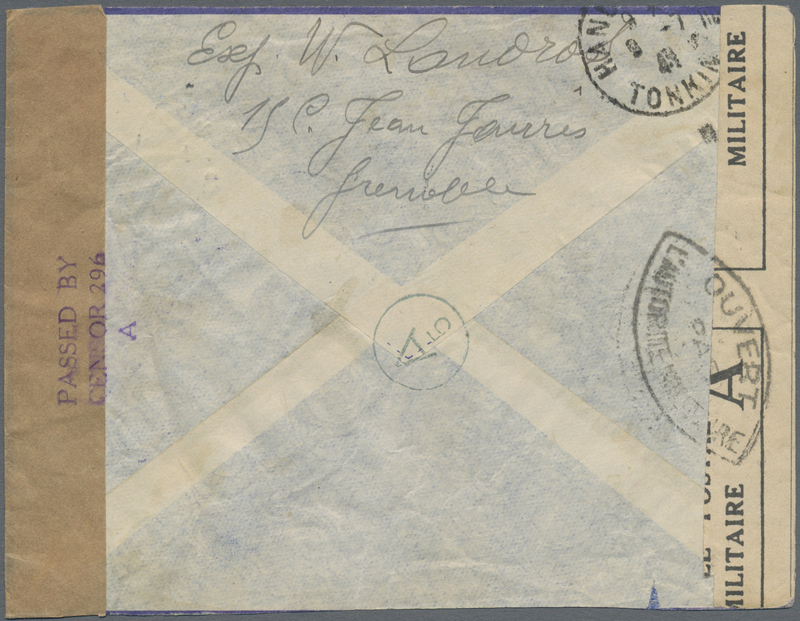 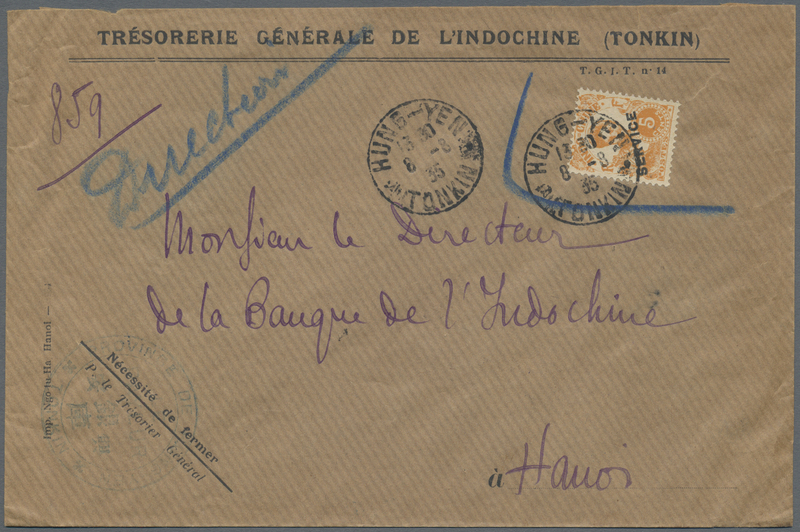 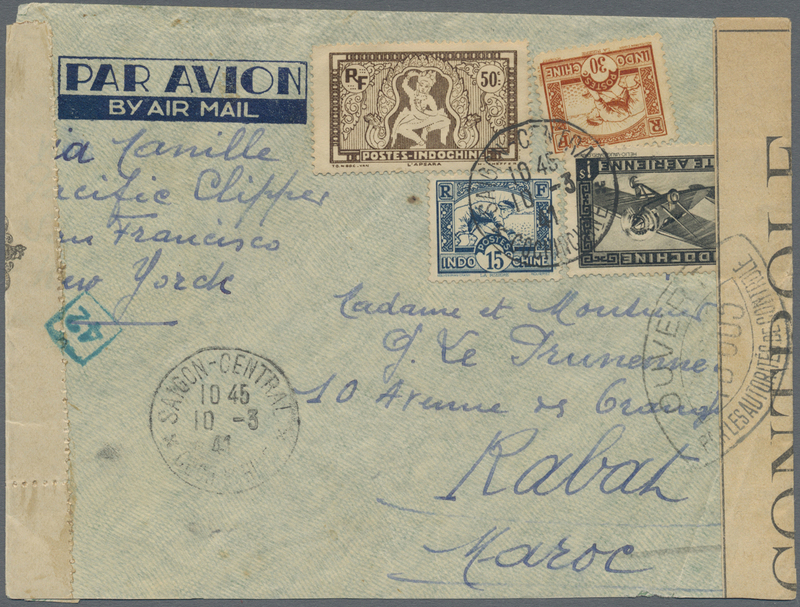 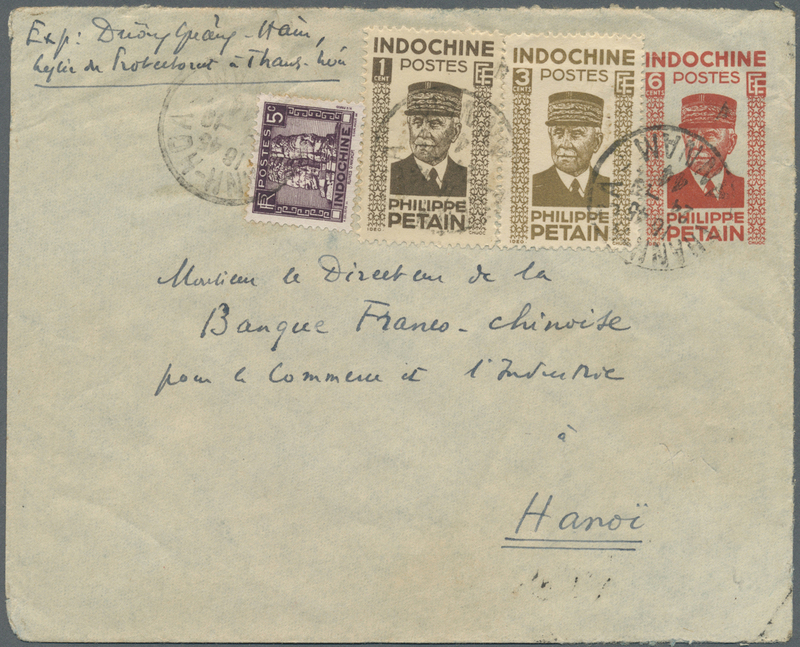 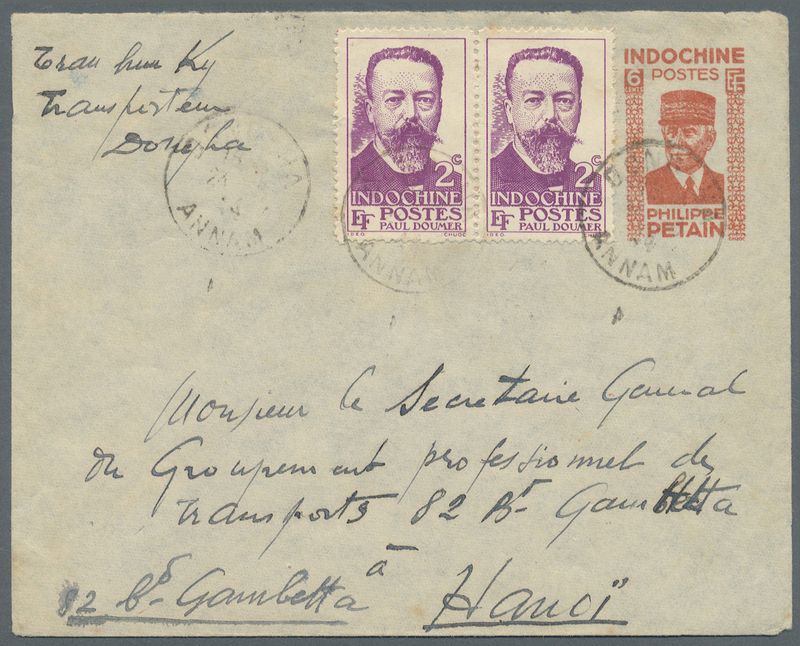 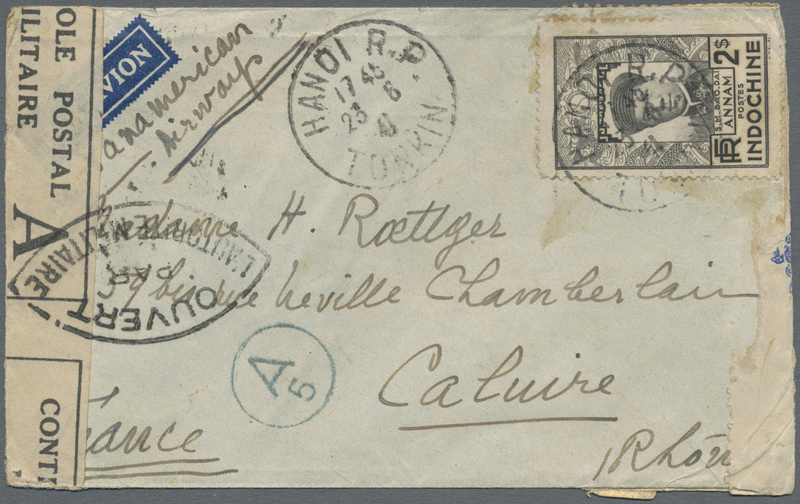 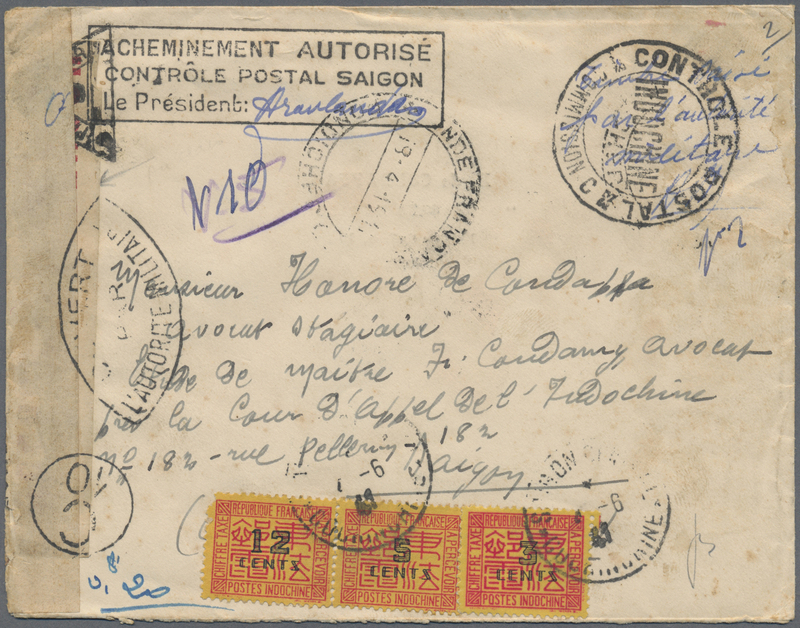 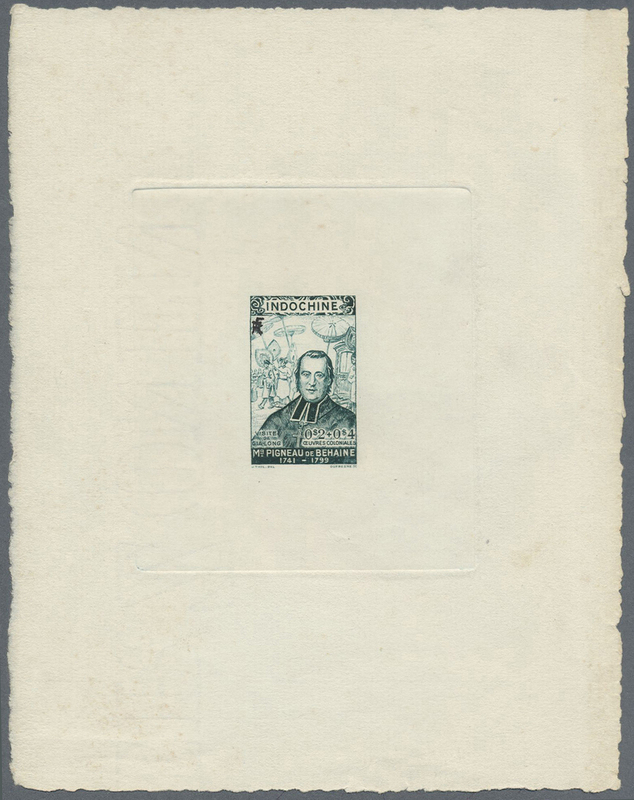 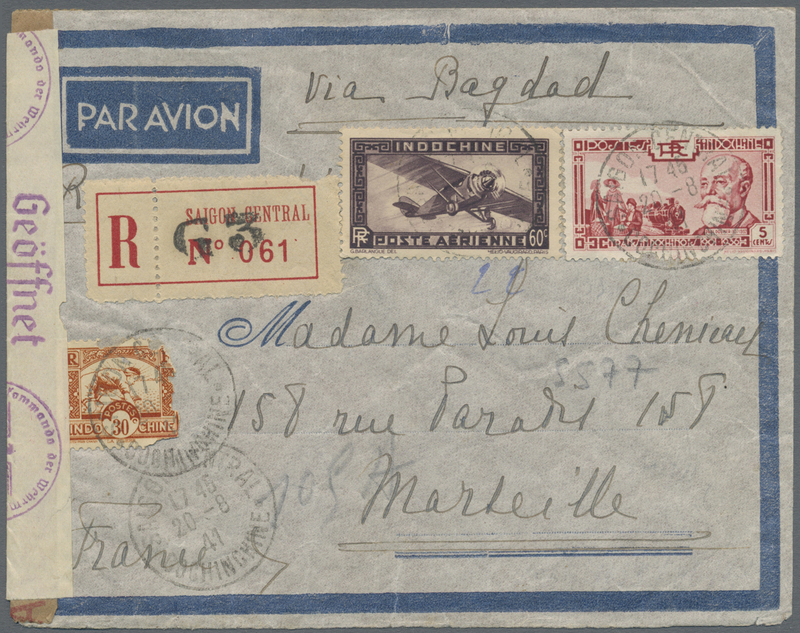 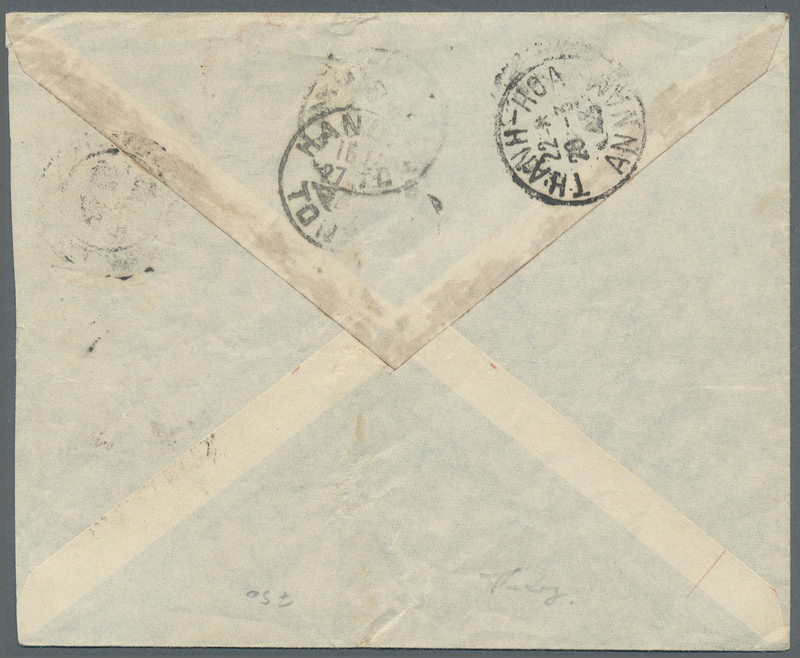 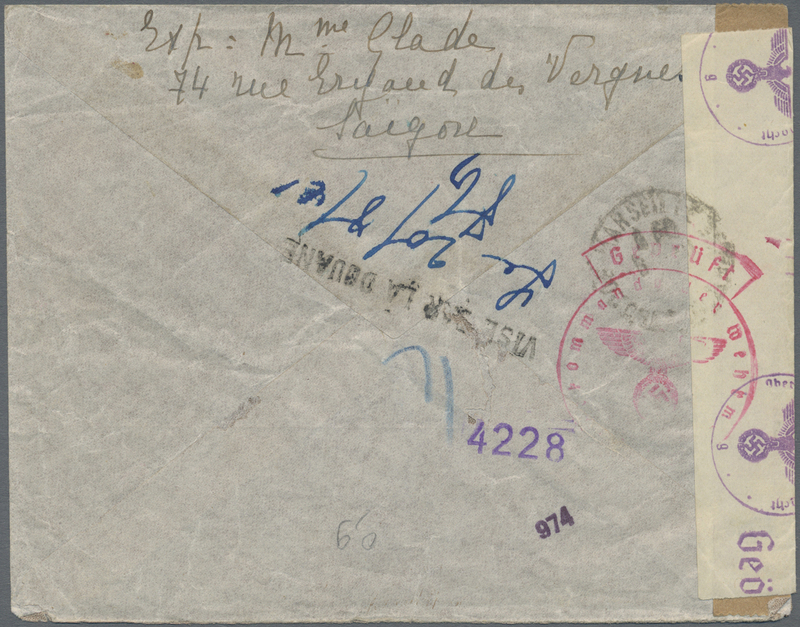 Airmail cover to England franked with French Indochina 5 c La Grandiere and 1 pi Yersin tied by 'Saigon Principal Cochine' postmarks. 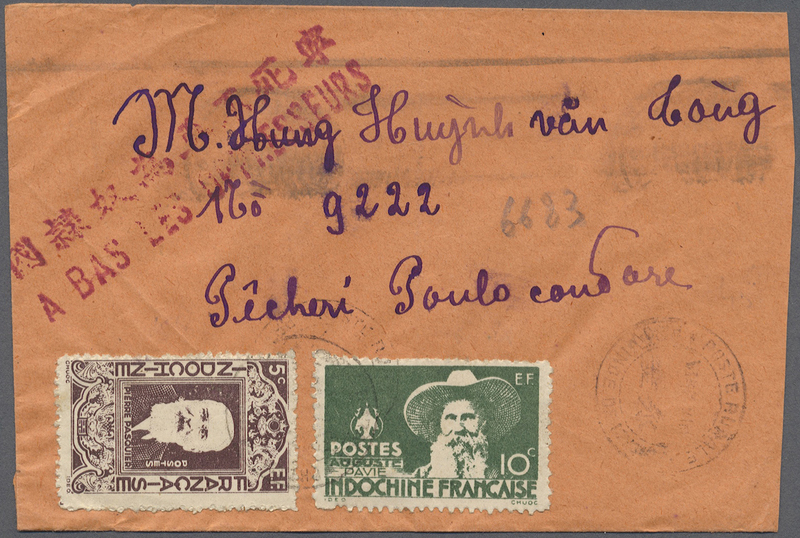 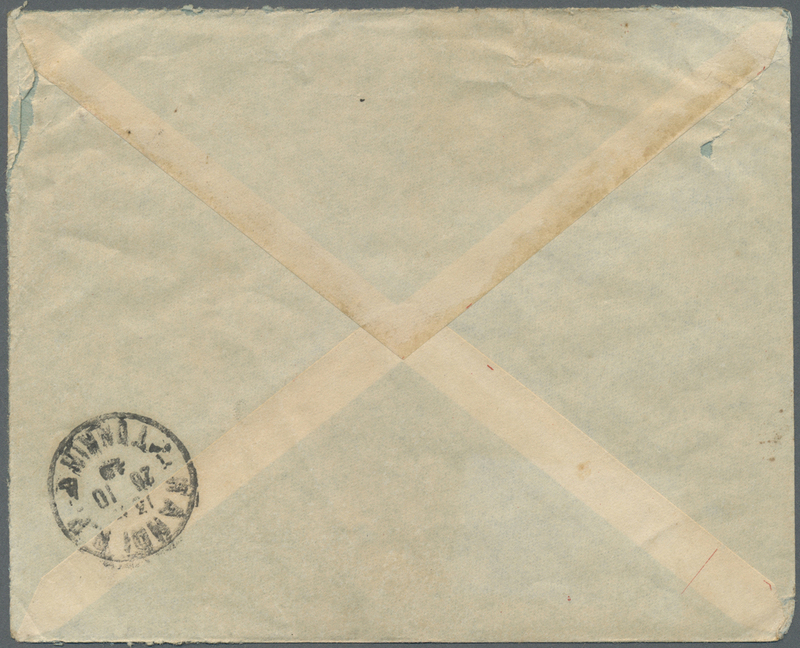 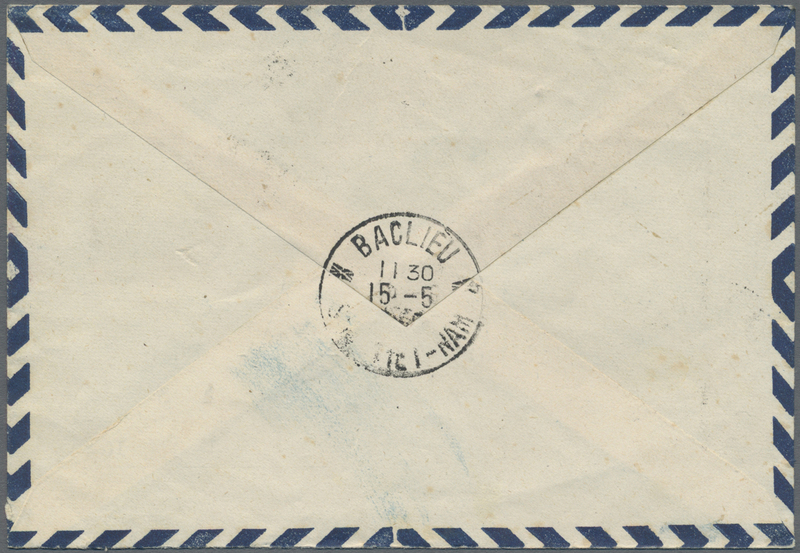 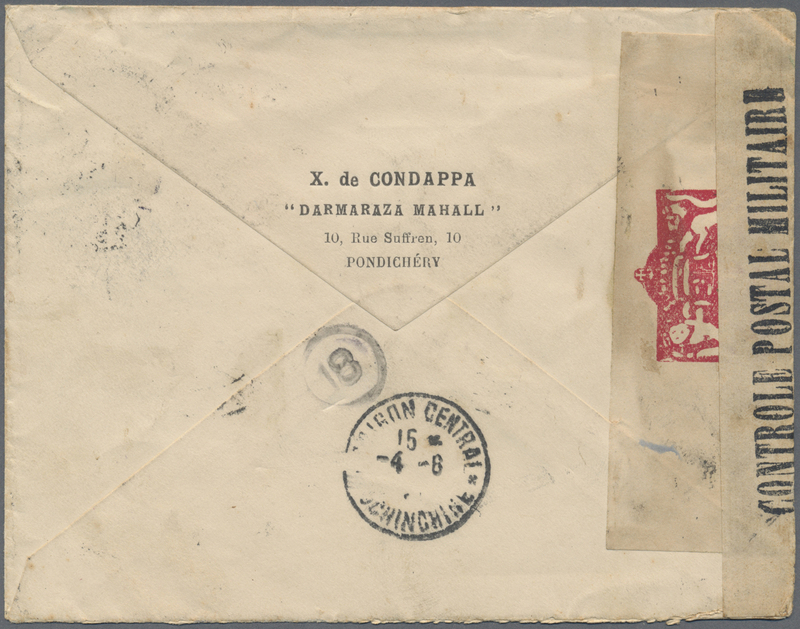 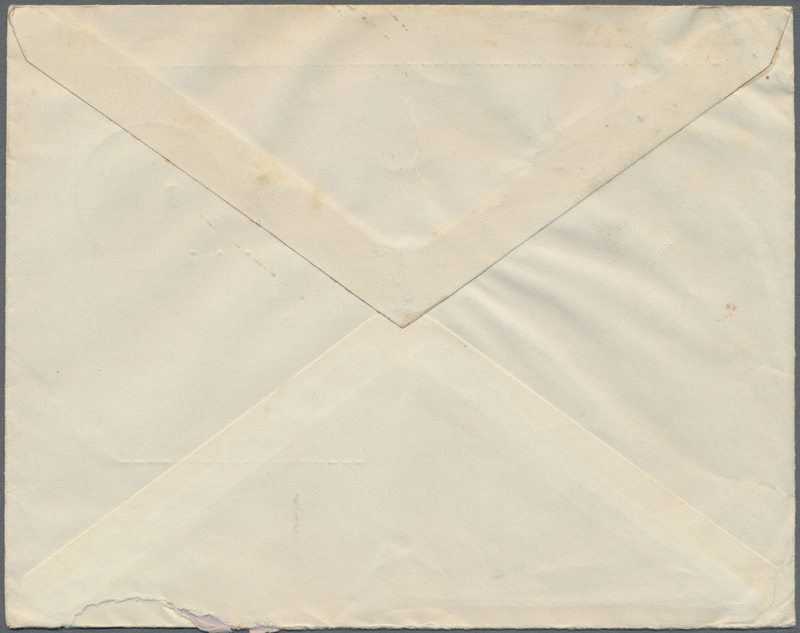 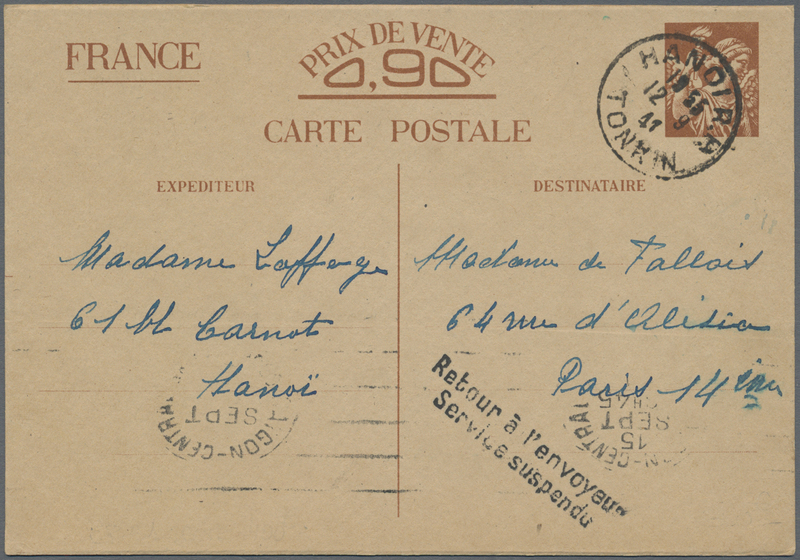 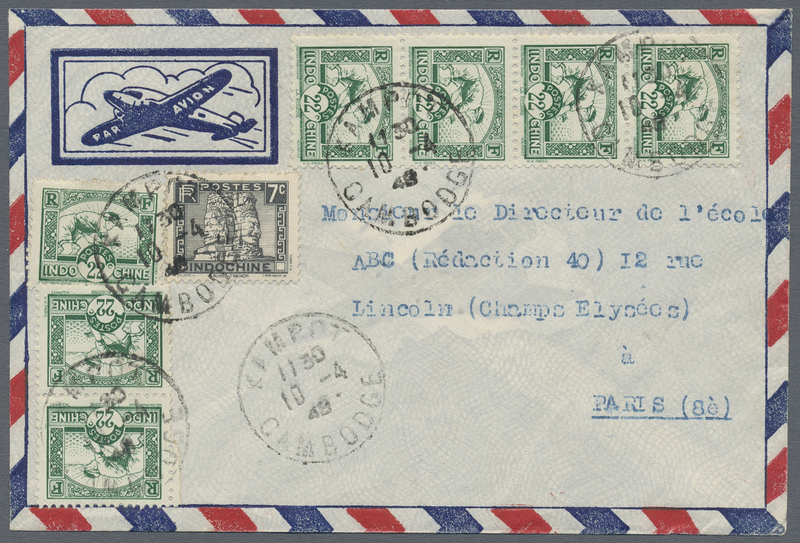 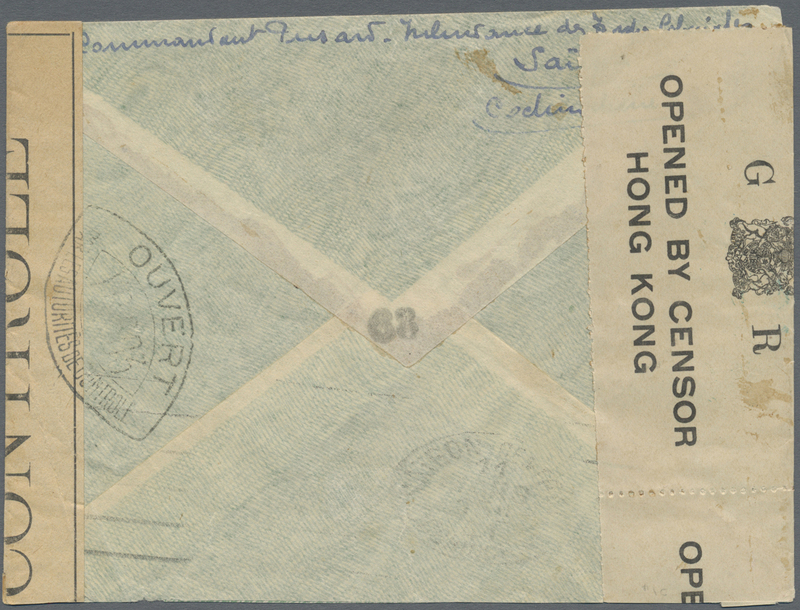 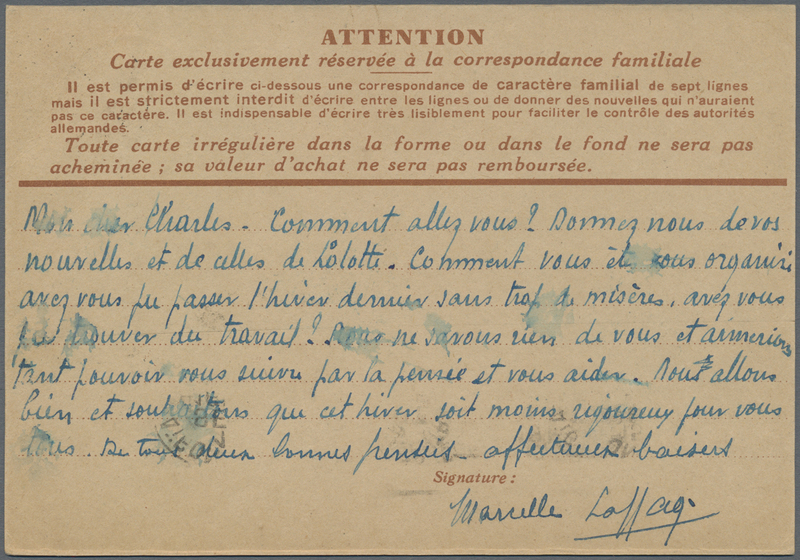 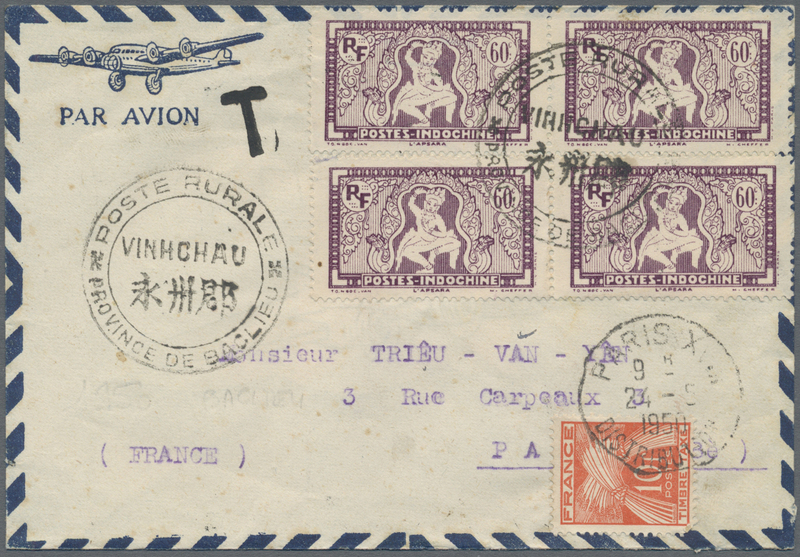 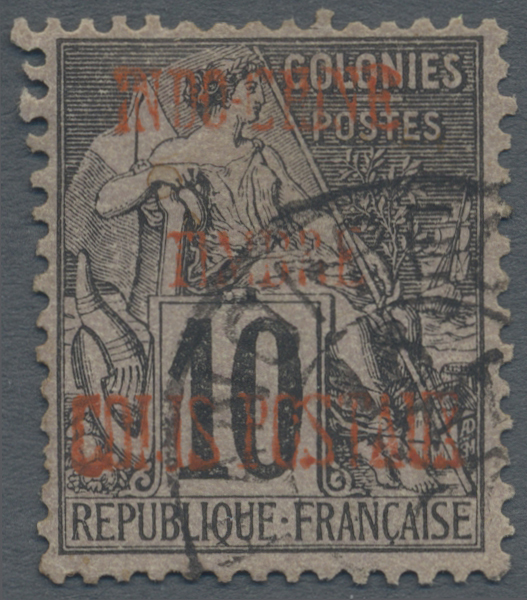 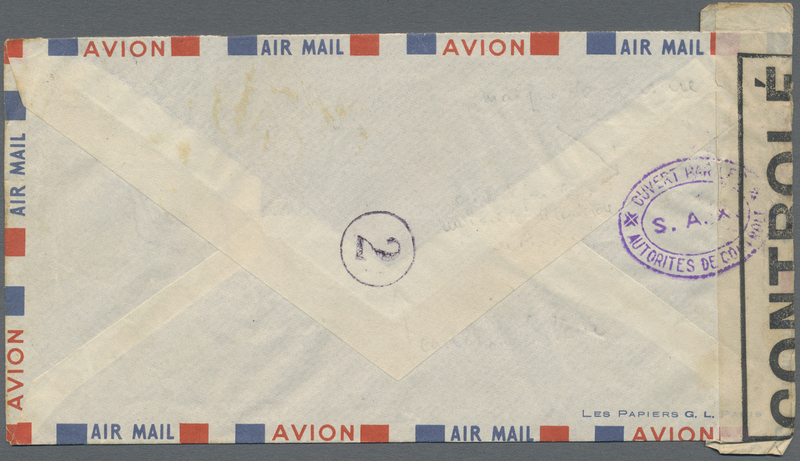 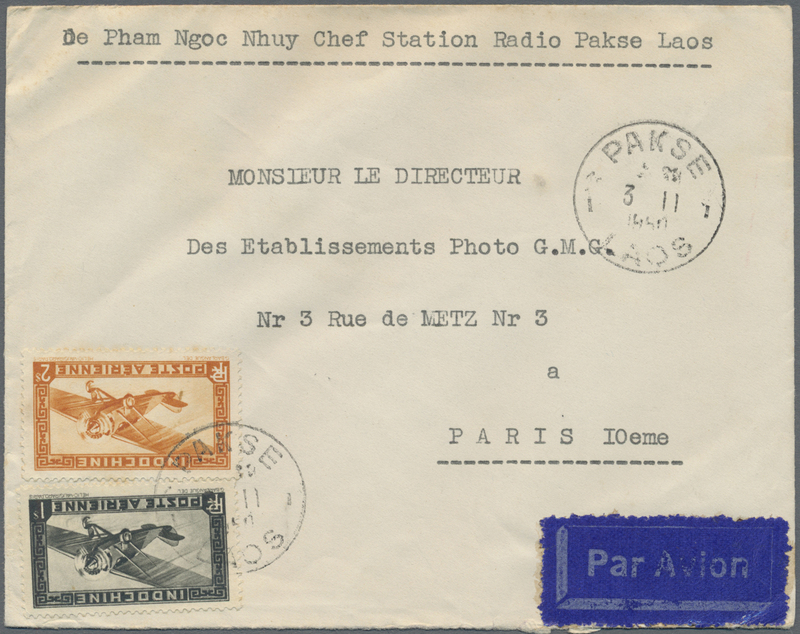 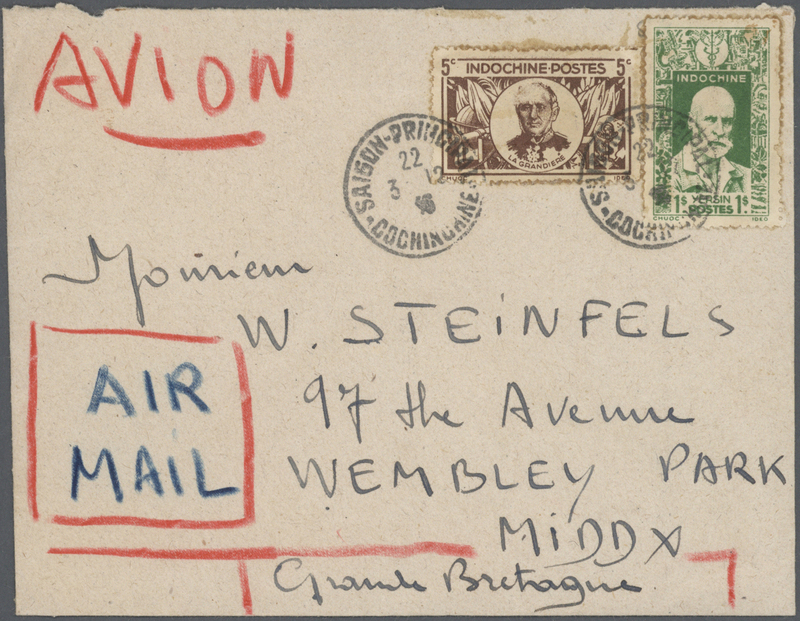 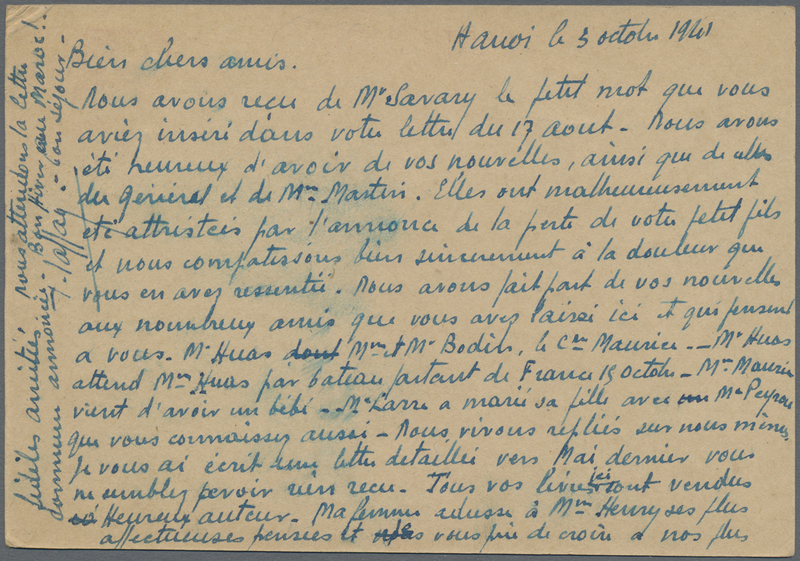 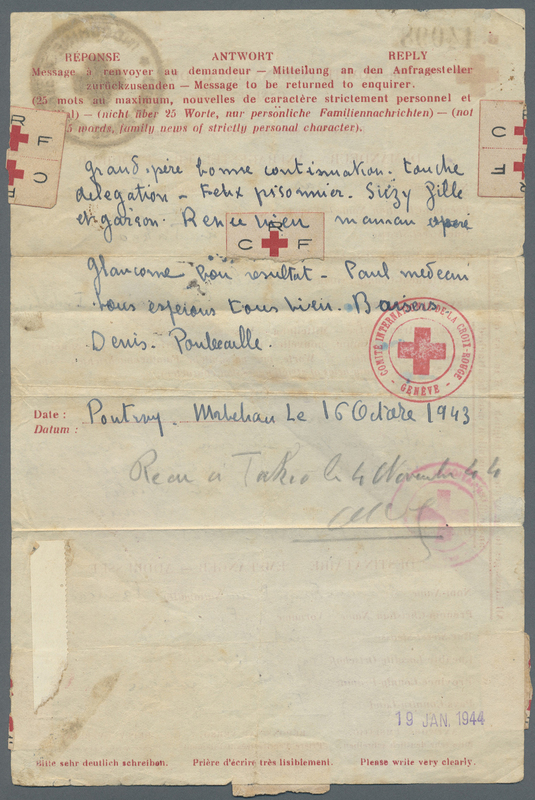 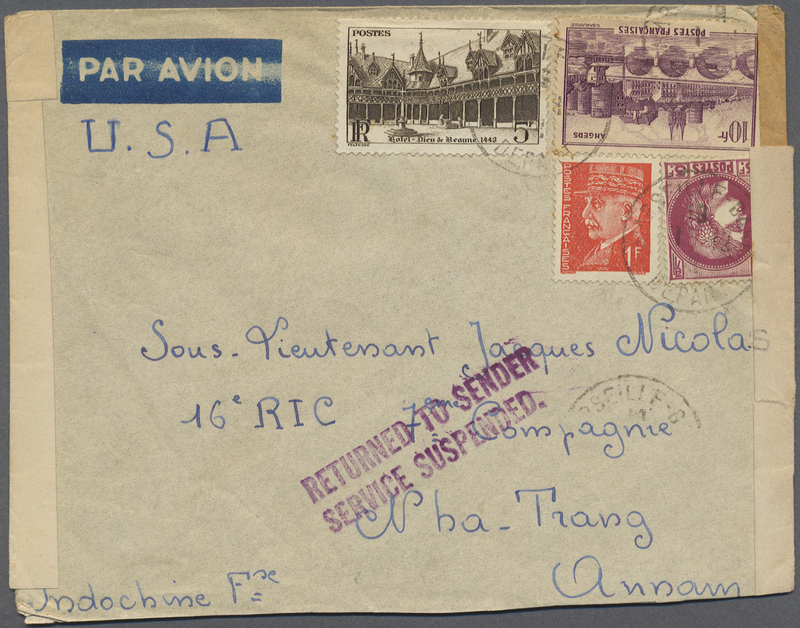 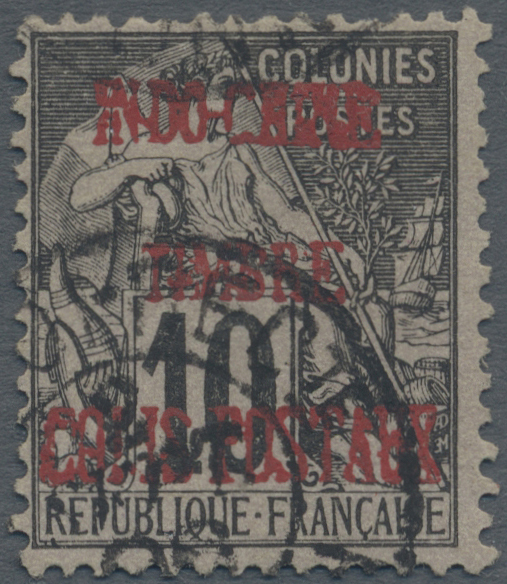 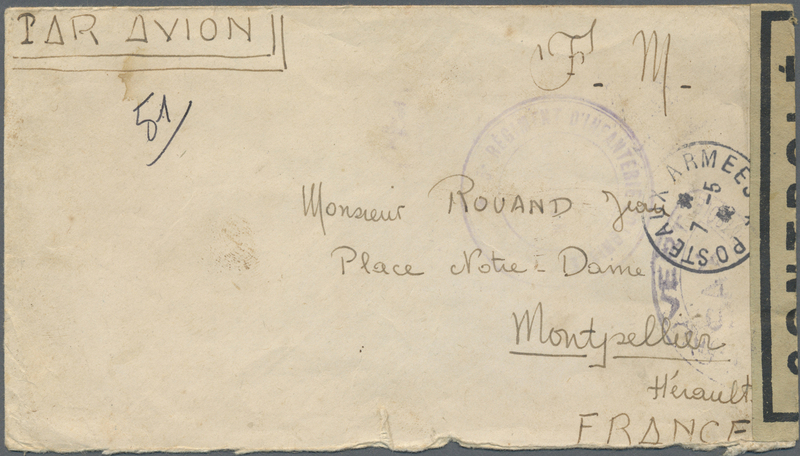 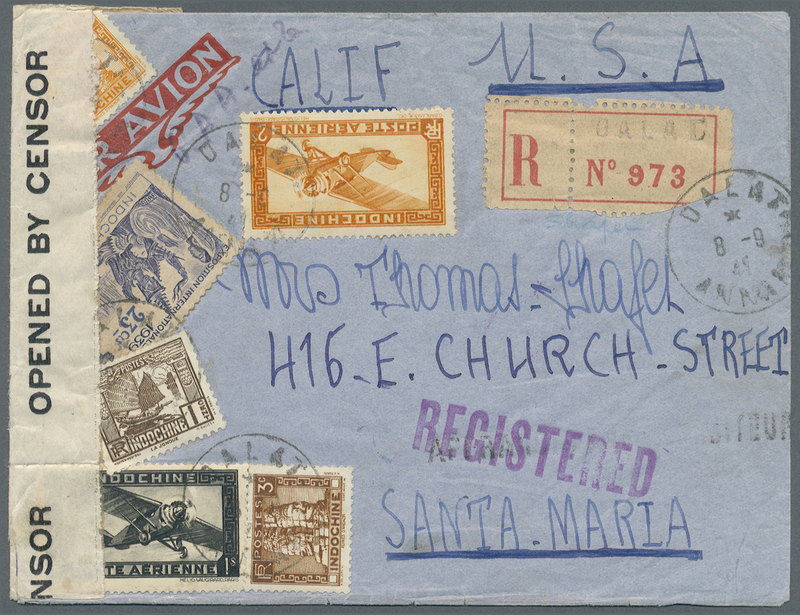 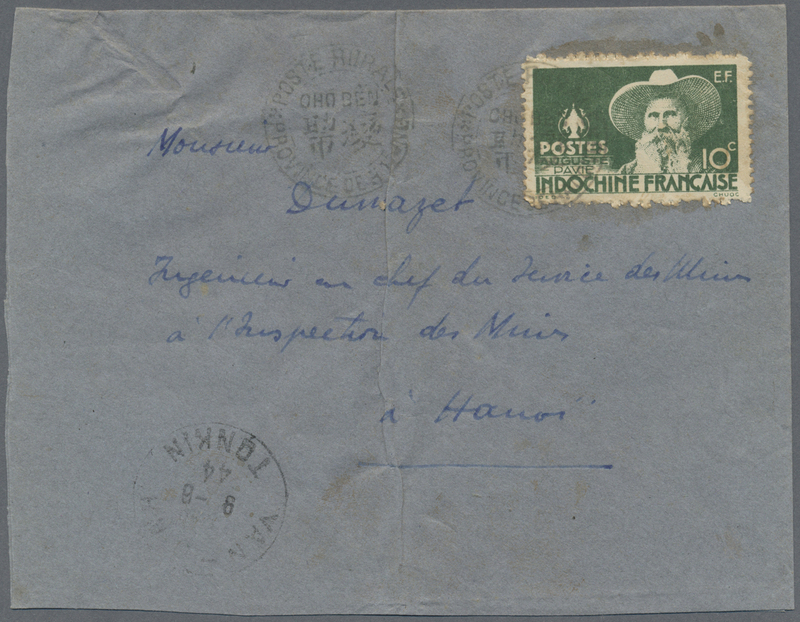 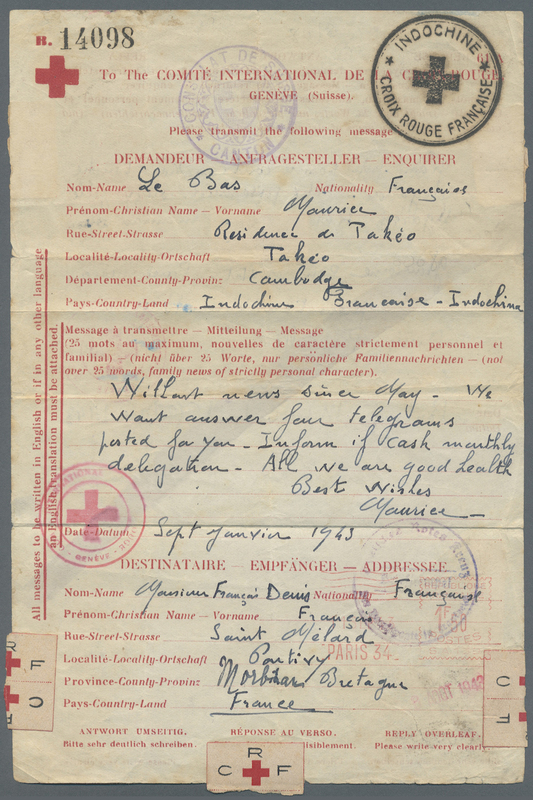 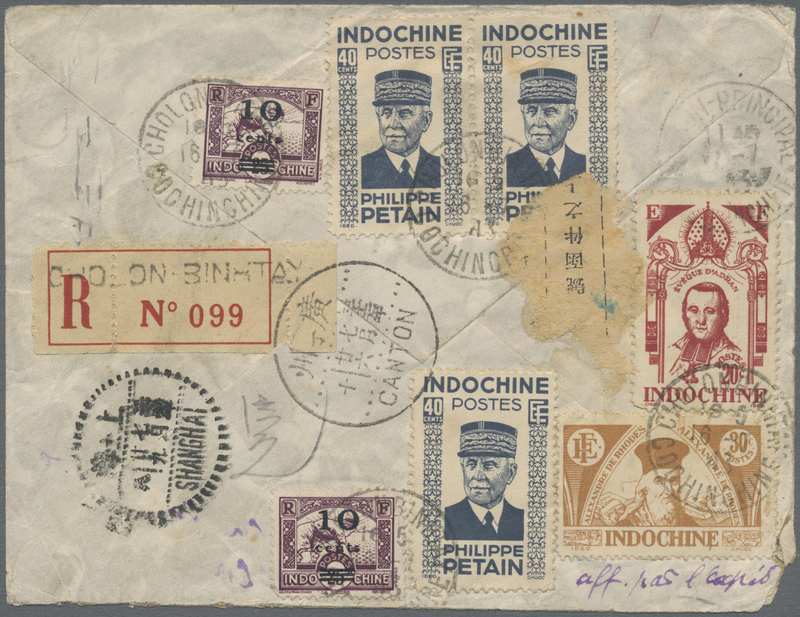 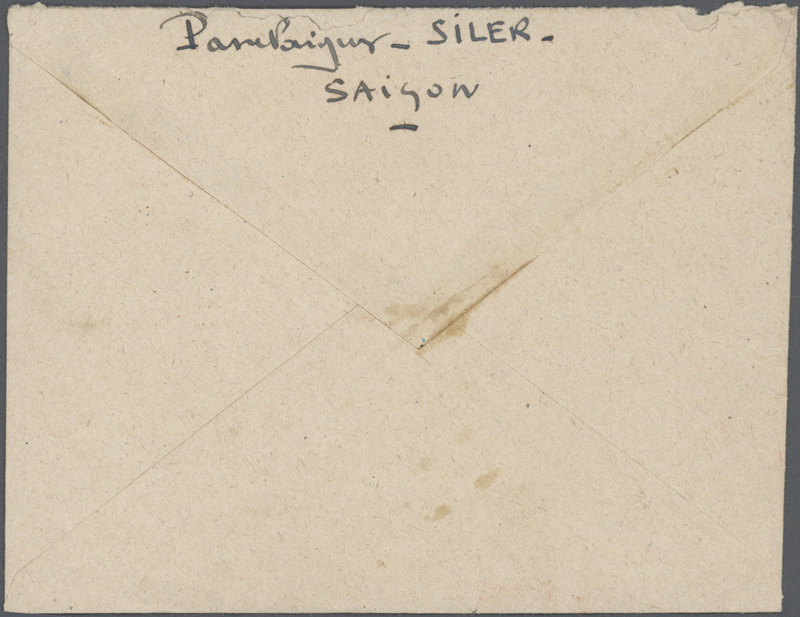 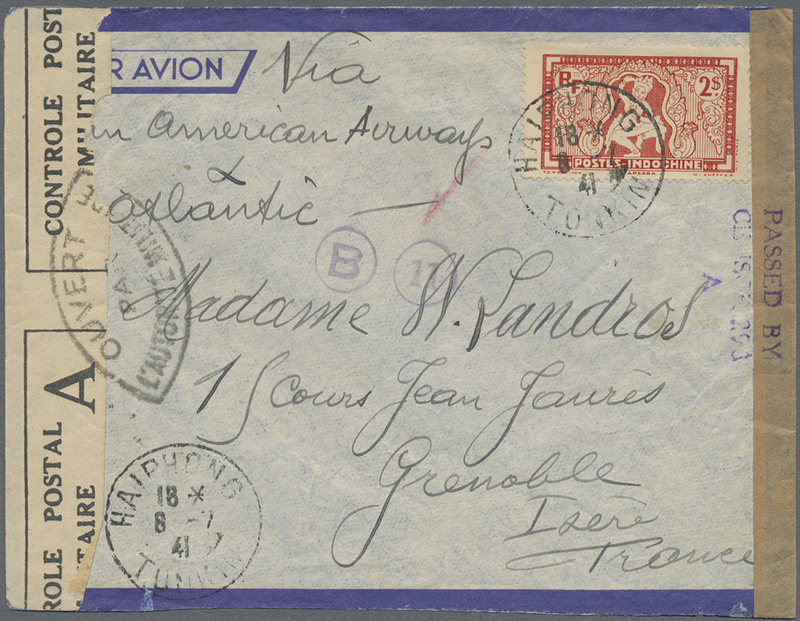 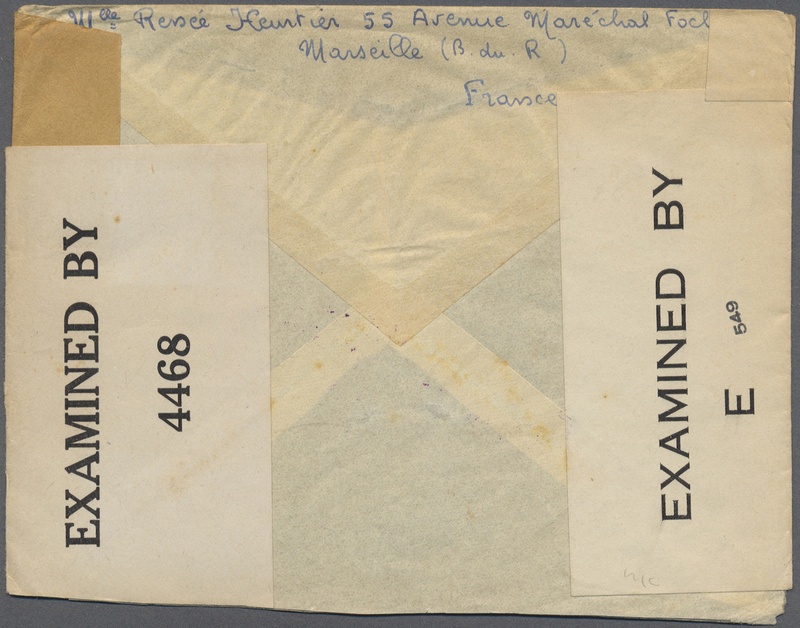 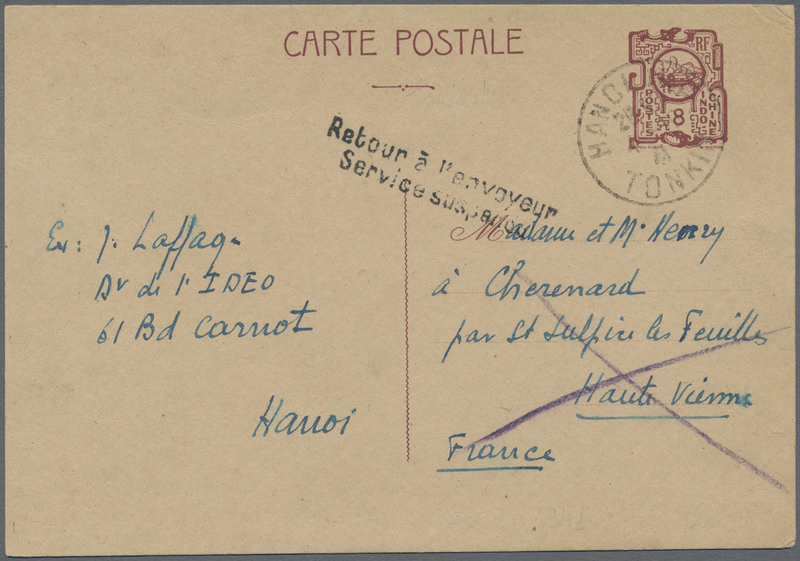 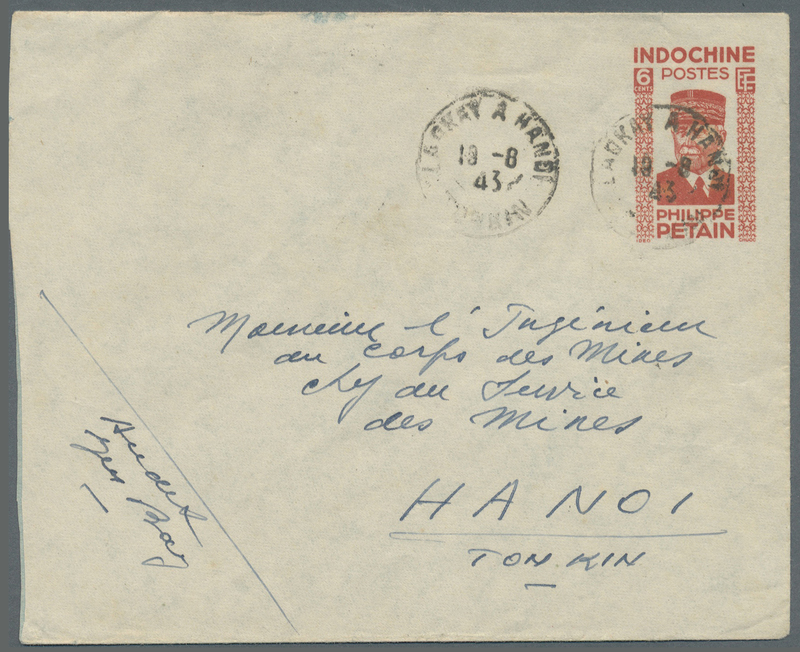 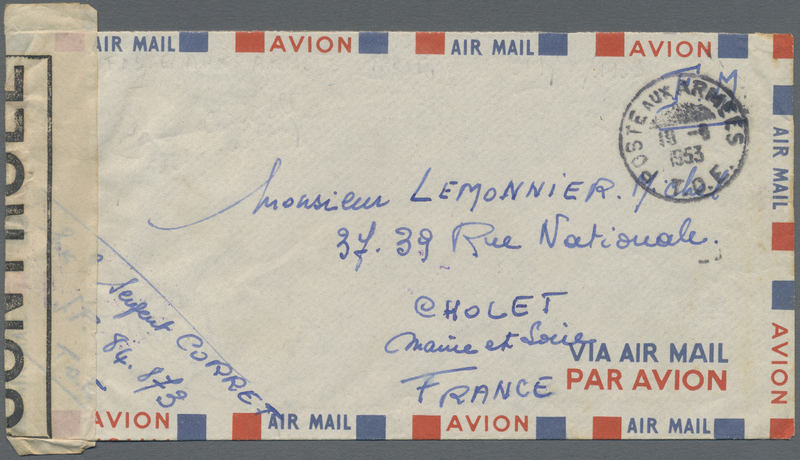 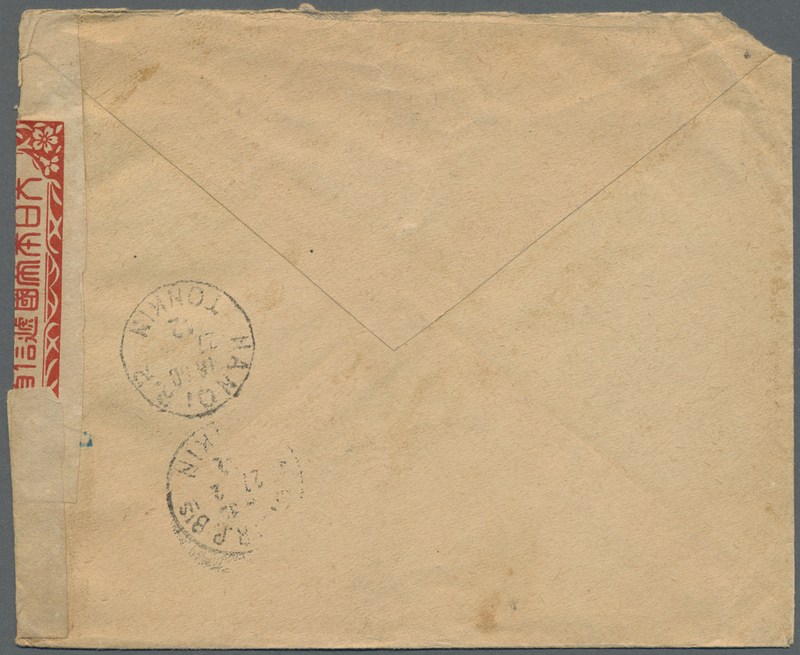 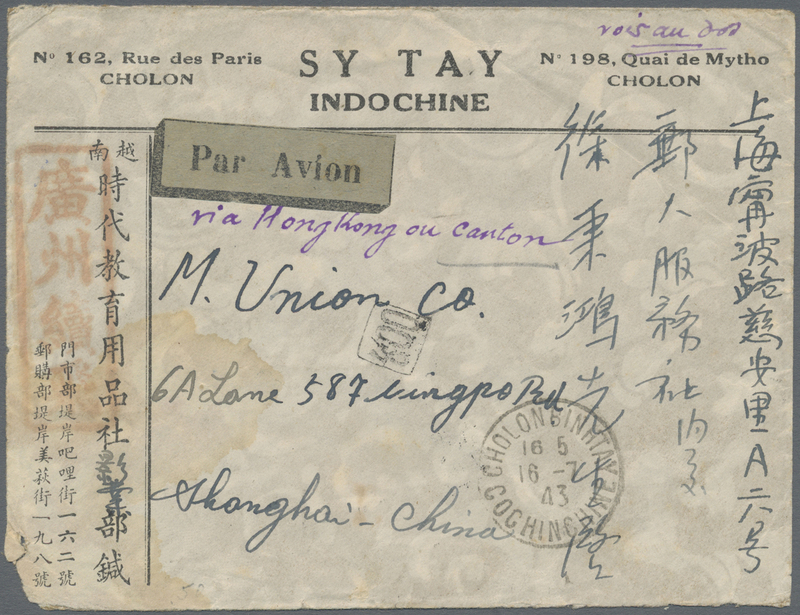 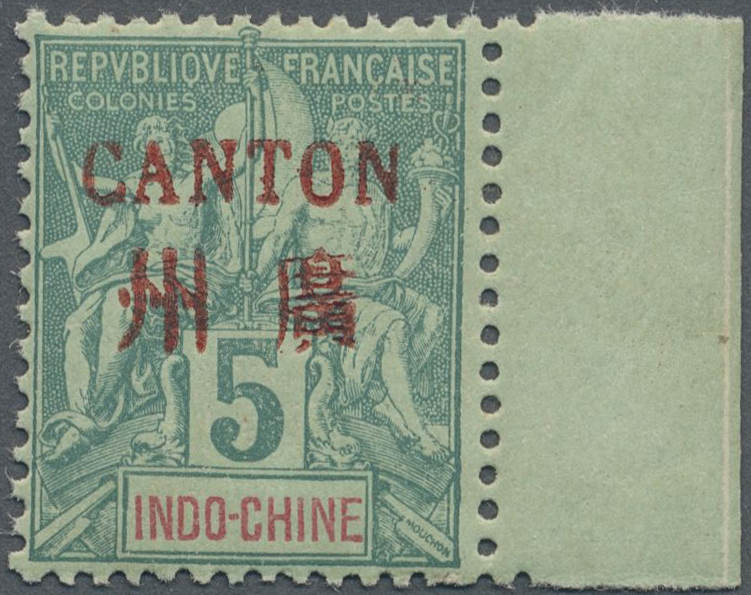 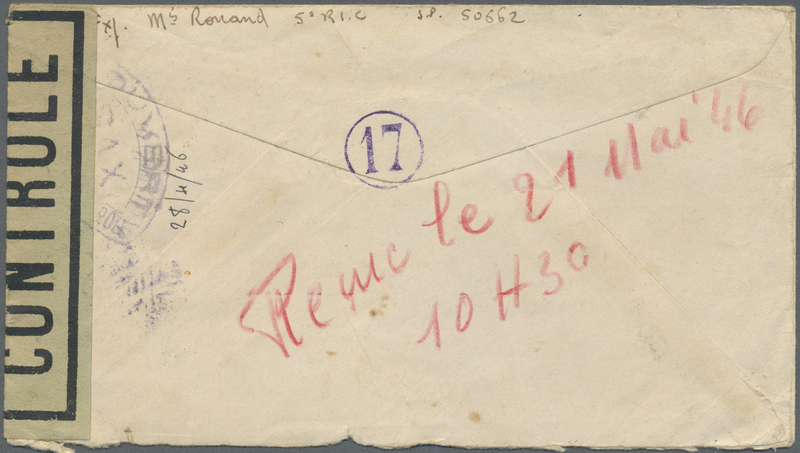 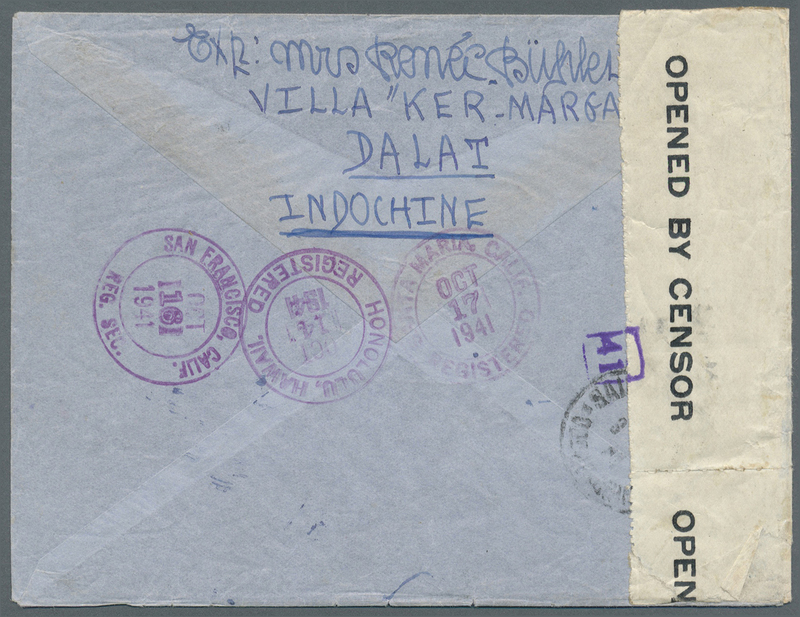 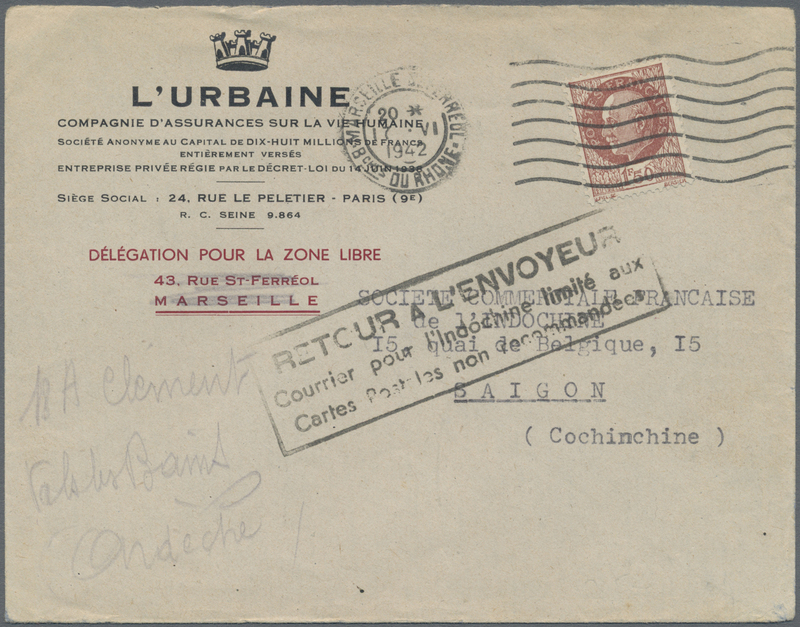 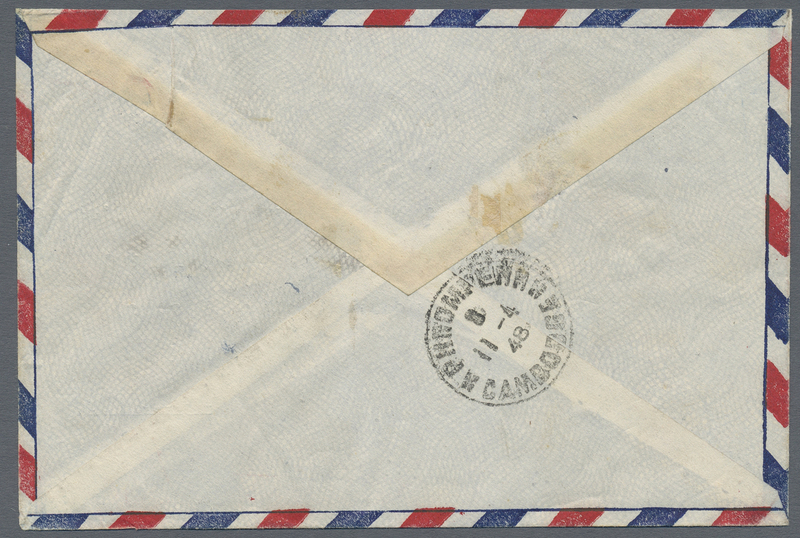 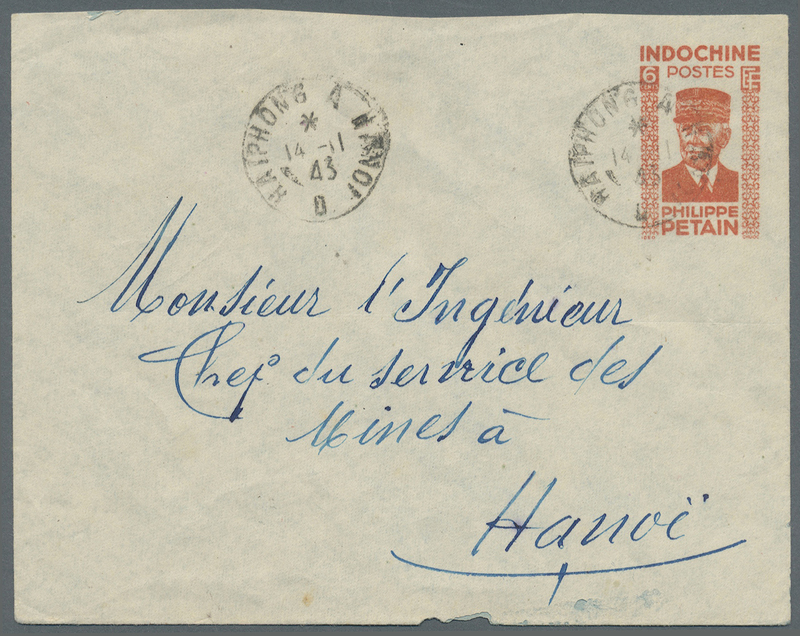 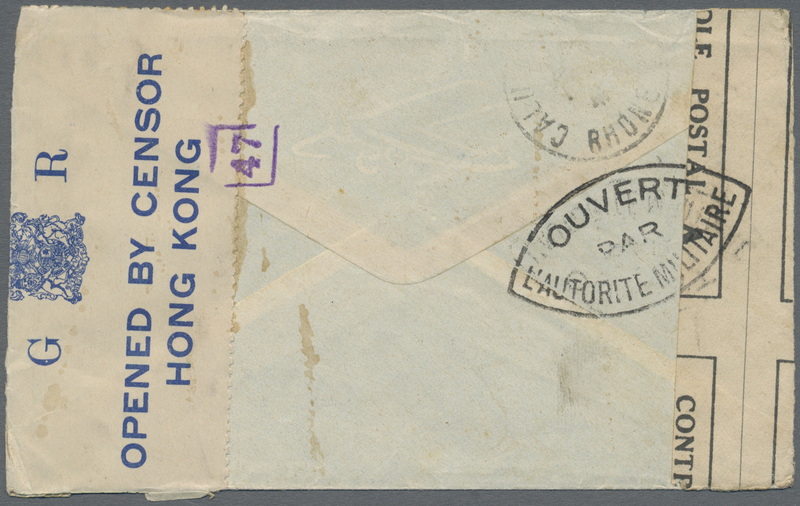 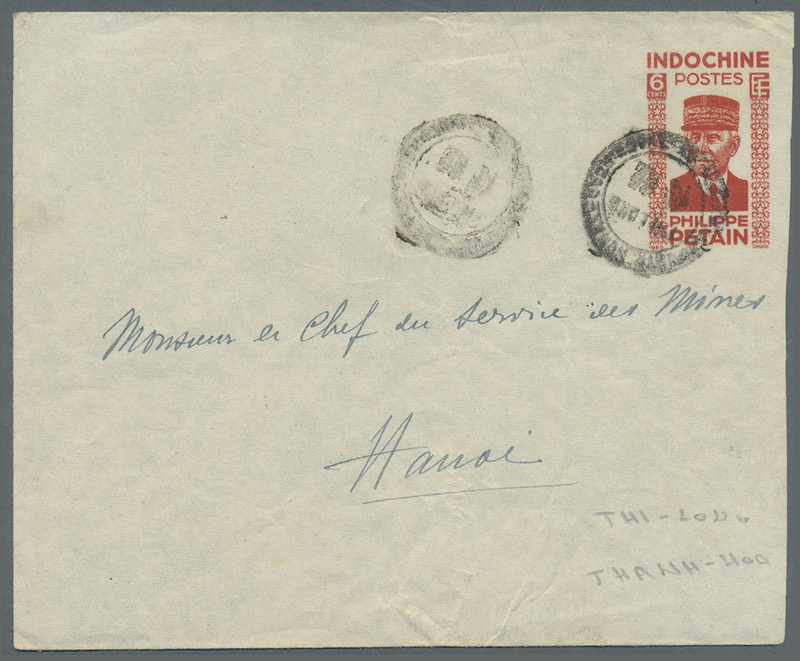 Very early postwar example of foreign-airmail from Indochina. 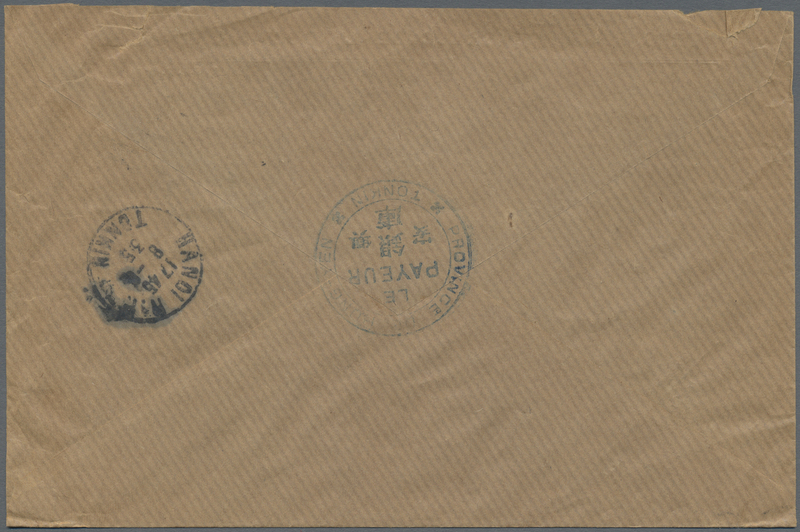 The stamps were issued during the Japanese Occupation. 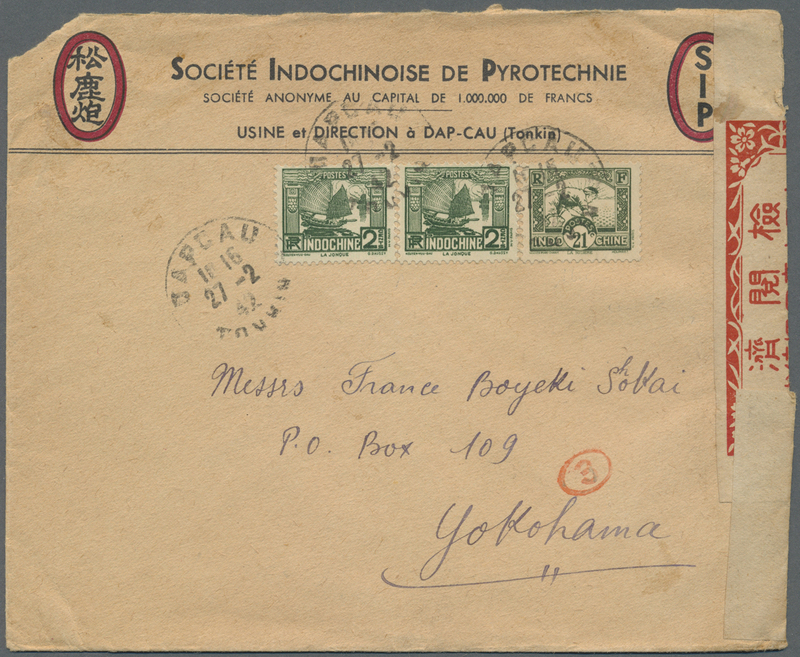 7502 Brief (cover) Yv. 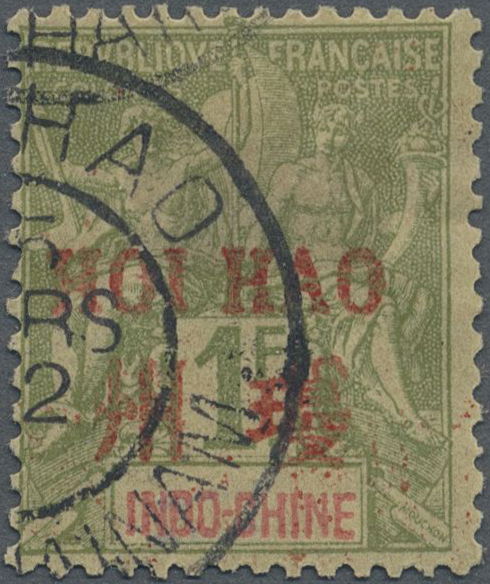 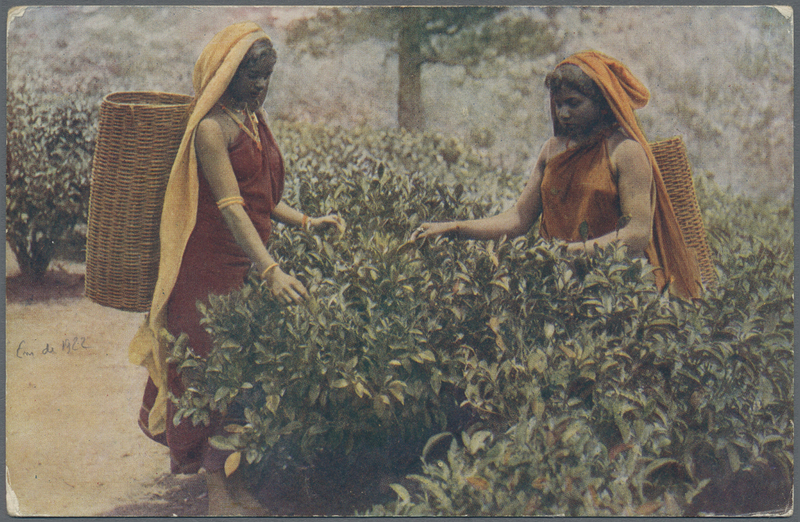 2 1905. 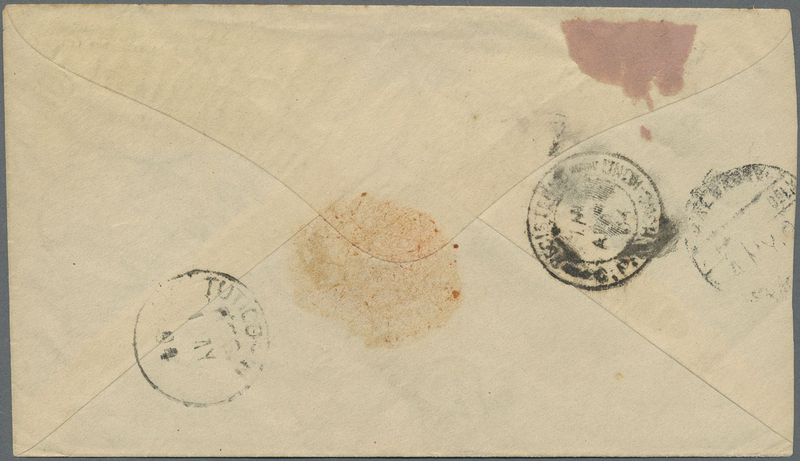 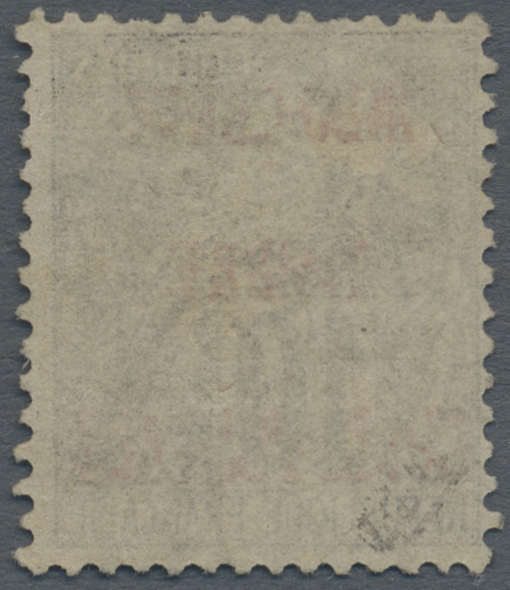 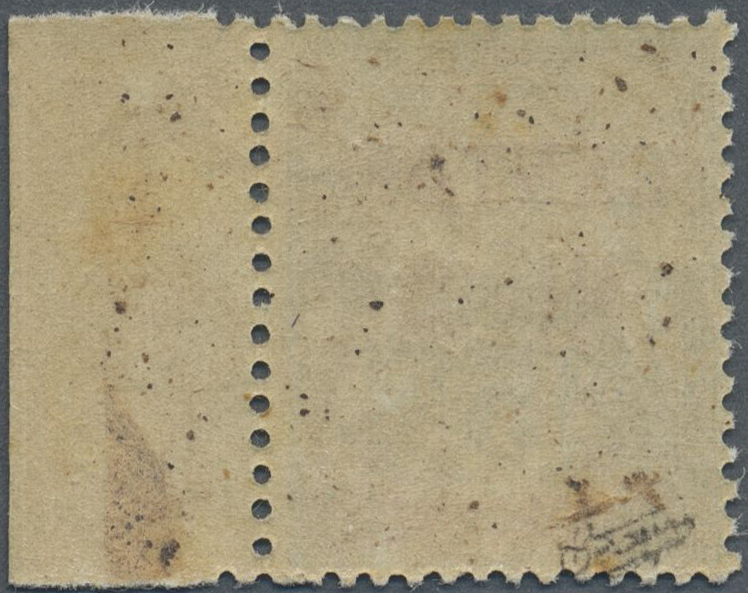 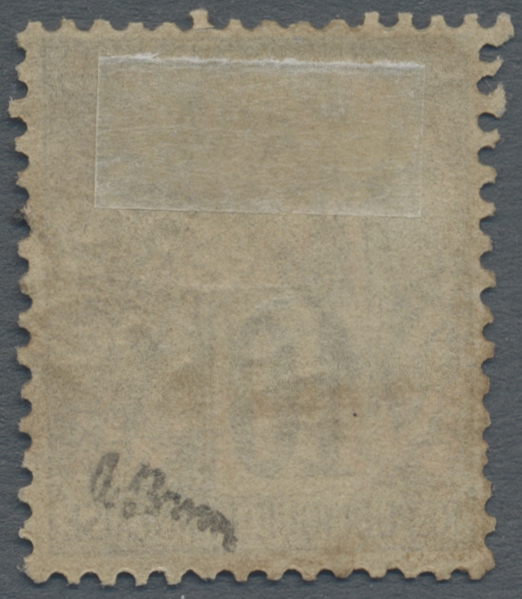 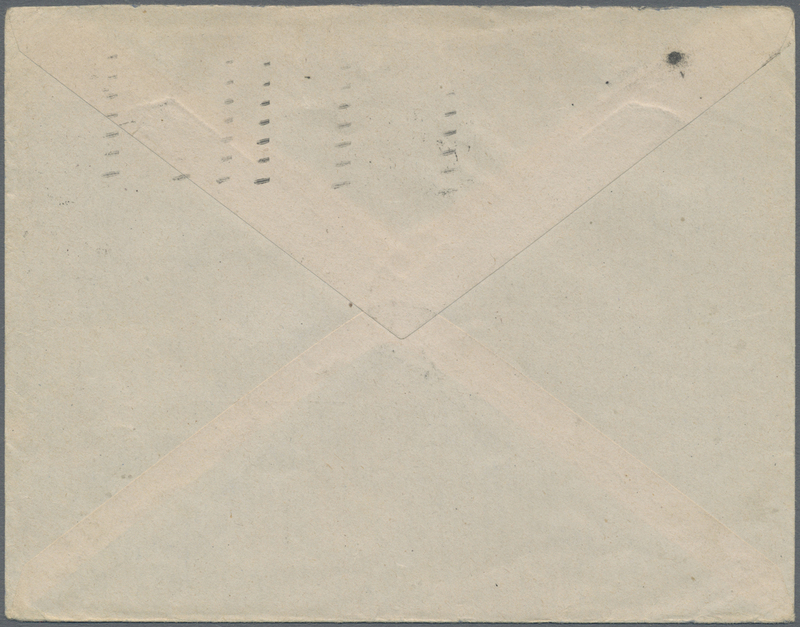 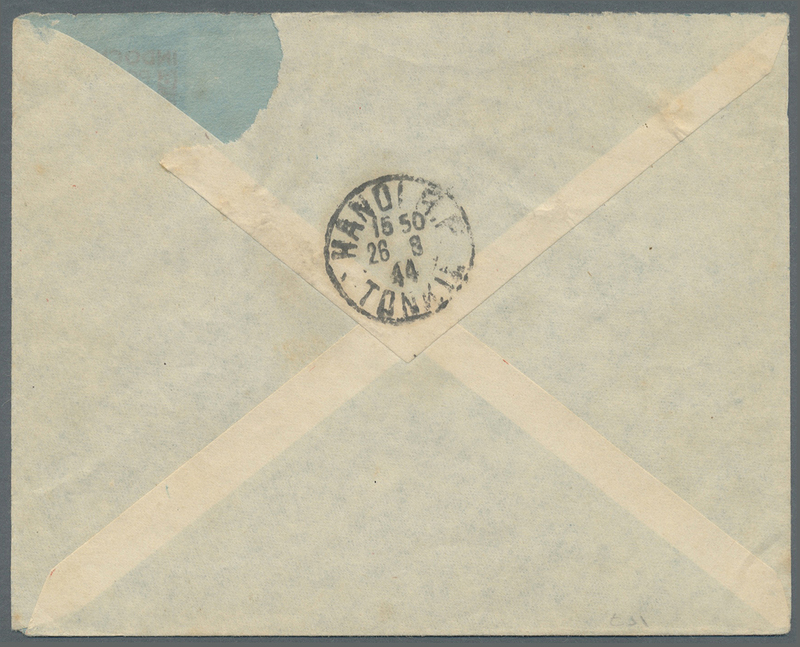 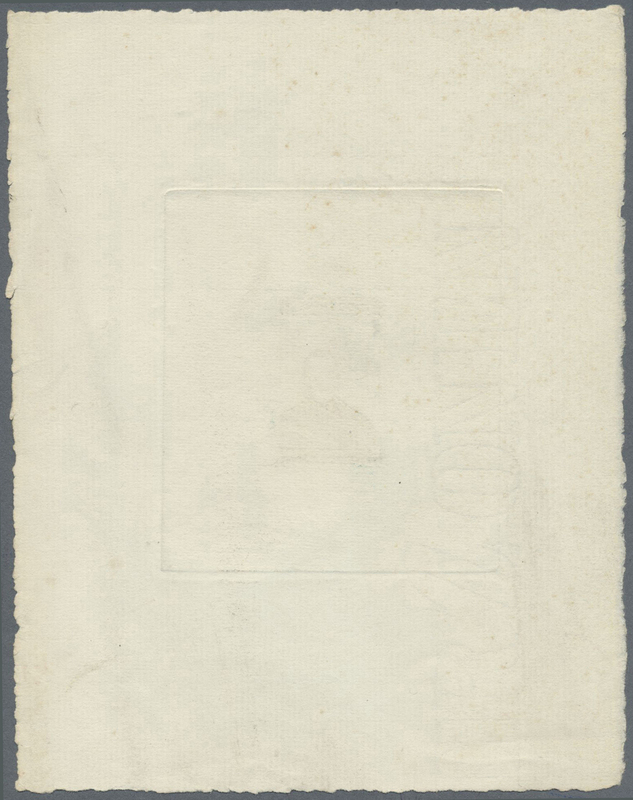 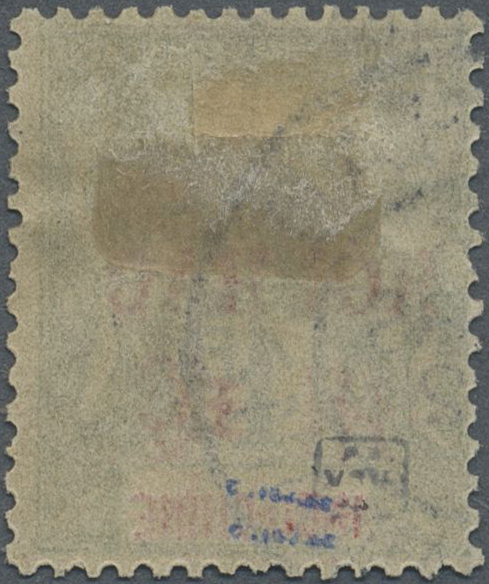 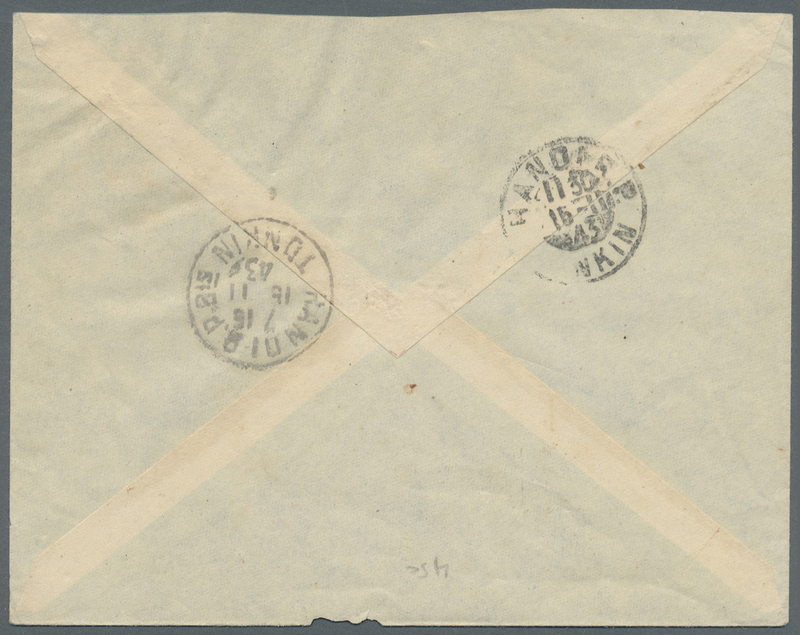 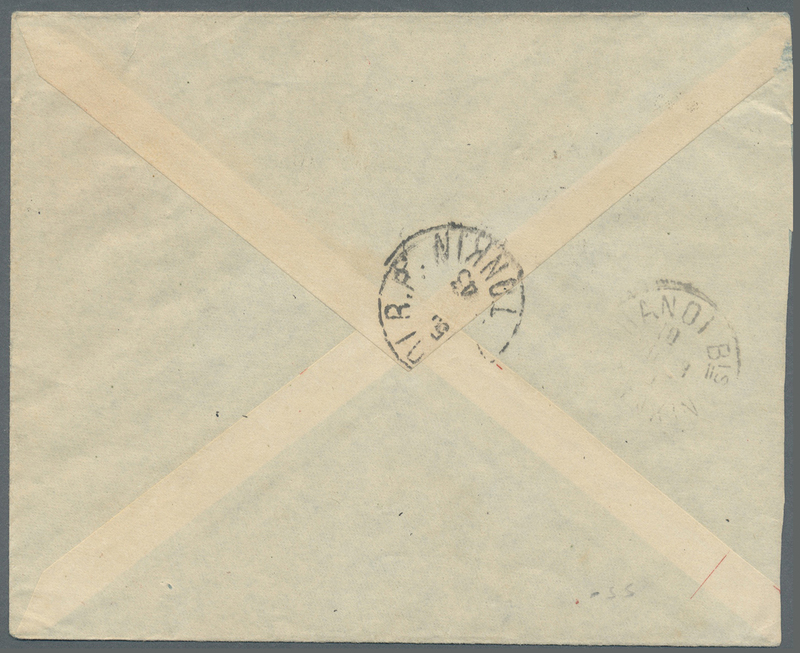 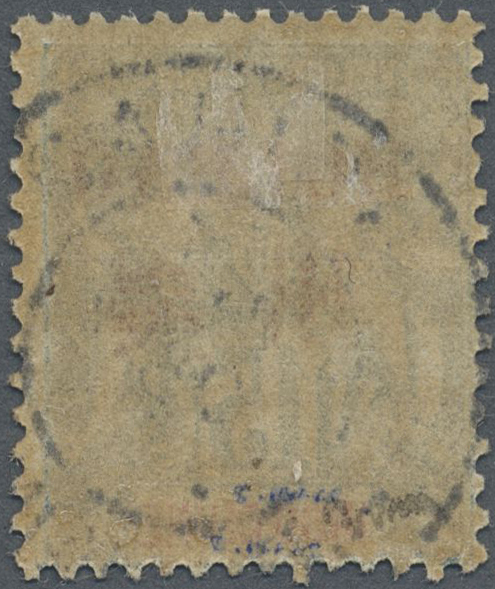 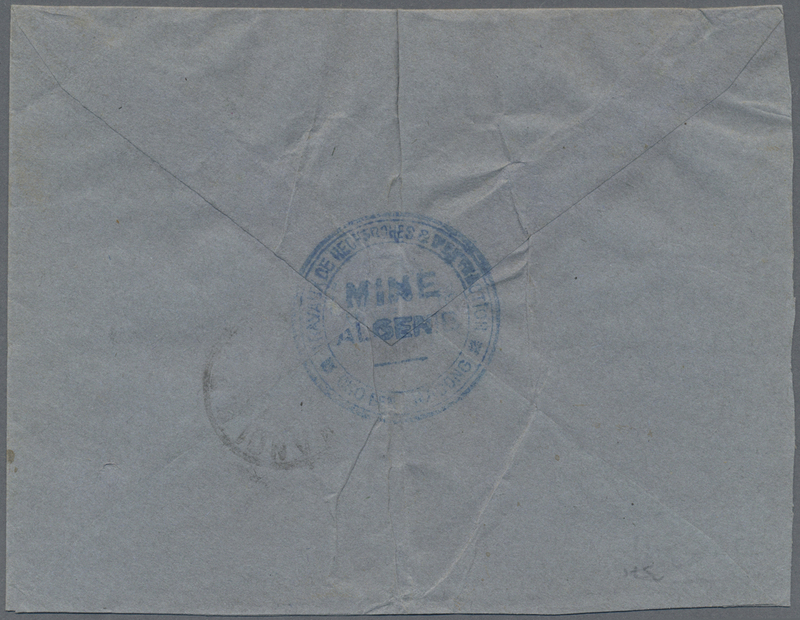 News-Band wrapper addressed to Saigon bearing Indo-China postage due Yvert 2, 5 on 40c black tied by Saigon Central/Cochinchine double ring with hand-struck ''T' adjacent. 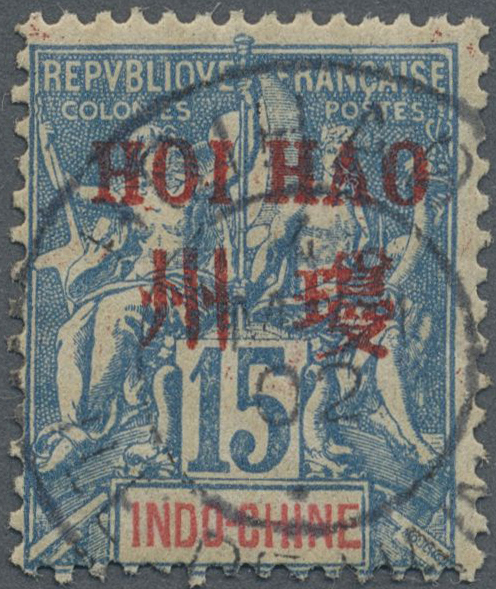 Rarely seen use of Indo-China tax stamp paying the domestic wrapper rate.